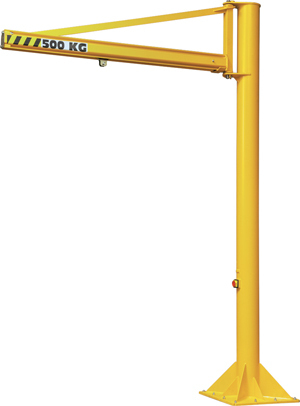 The jib crane PFTC is strictly reserved for an indoor use and built with a hollow section, PFTC allows 270° rotation. This jib crane cannot be motorized. Intended to be equipped with a manual or electric hoist, this model has a great versatility with his trolley hoist mounted on plastic rollers.